Thread: what glue for hydroturf mats? im thinkin of ordering some hydroturf mats for my 15f whats a good glue to use that will hold em down good? I used some 3M adhiesive. I bought it at shucks auto supply. you can probably pick it up at any auto parts store. It worked really great and I'm really happy with hydroturf mats! when ordering the mats on the hydroturf site it says for 25 bucks u can order them with psa some kind of glue they can come with did anyone use this or bought there own glue? 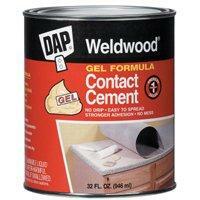 DAP WeldWood. Available at your local WalMart for under 10 bucks. Easy to use and damn does it stick good. Glue for Deck mat ???? What glue to use to glue on mat?